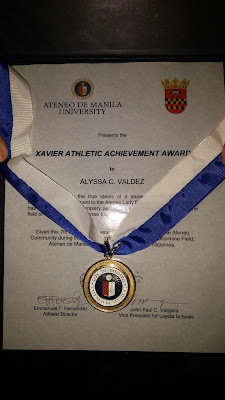 Ateneo Lady Eagles star Alyssa Valdez became the first co-recipient of the Xavier Athletic Achievement Award last Saturday, May 7, when she and former Ateneo basketball star, Kiefer Ravena, were honored during the annual bonfire held at the campus school grounds in Loyola Heights, Quezon City. The men’s and women’s swimming, judo, and men’s volleyball teams were among those teams that bagged championships. Numerous other squads finished first runner-up including women’s volleyball, men’s football, and baseball to name a few. 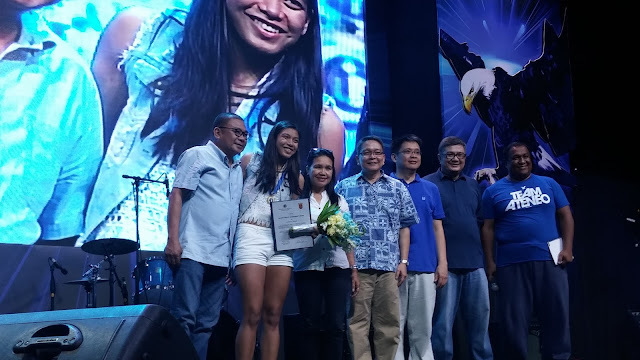 During her five years playing for Ateneo, Valdez won two UAAP and two Shakey’s V-League championships and three UAAP Most Valuable Player Awards while wearing the blue and white. During her playing years in Ateneo, she won numerous other awards and accolades including the Ms. Volleyball Award that was bestowed upon her by the Philippine Sportswriters Association for 2014-15. Ravena, wasn’t available as he is currently in the United States for additional basketball training. The award was named after St. Francis Xavier, one of the companions of St. Ignatius de Loyola when he founded the Society of Jesus. Francis Xavier, was a high jumper at the University of Paris in 1525.